Grand Central Publishing, 9781538764367, 256pp. Tessa Markham returns home to find a child in her kitchen. He thinks she is his mother. But Tessa doesn't have any children. Tessa isn't sure what to believe or whom to trust. Because someone is lying. To find out who, she must first confront her painful past. But is the truth more dangerous than Tessa realizes? 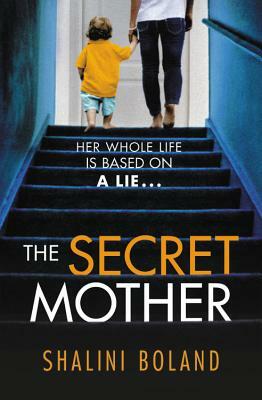 The Secret Mother is an intense psychological thriller with a twist that will make you wonder if you can ever trust anyone again. Shalini Boland is a USA Today bestselling author of psychological thrillers The Girl from the Sea, The Best Friend, The Millionaire's Wife, and The Child Next Door. Shalini lives in Dorset, England with her husband, two children, and their cheeky terrier mix. Before kids, she was signed to Universal Music Publishing as a singer/songwriter, but now she spends her days writing suspense thrillers in between school runs and endless baskets of laundry. She is also the author of two bestselling young adult series as well as a children's World War II novel with a time-travel twist. but it won't be the last."